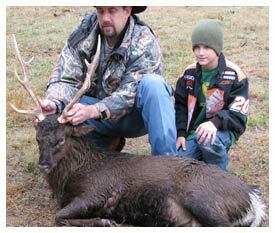 Sika deer have rapidly become one of the favorite non-native species for hunters throughout the United Sates. There are captive Sika deer populations in 34 of the states, plus in three states, Texas, Virginia and Maryland there are even fairly substantial wild populations. 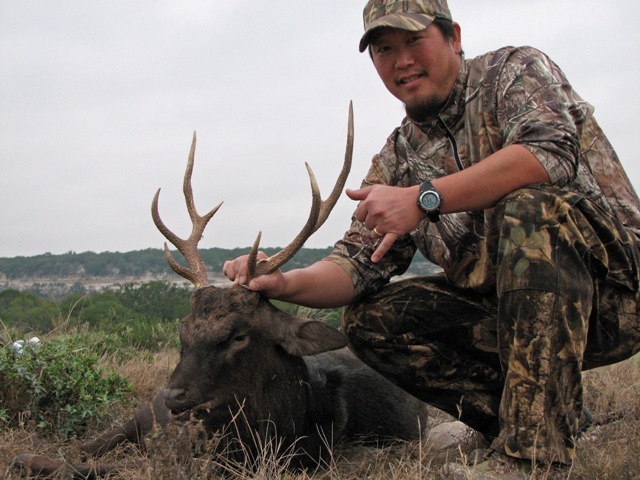 Hunting Sika deer in Texas is really best done on a game ranch unless you have time to scout out and determining the movements of the wild herds. This also means getting approval to hunt on private land, something that is often difficult in the central to west Texas areas that the wild populations call home. 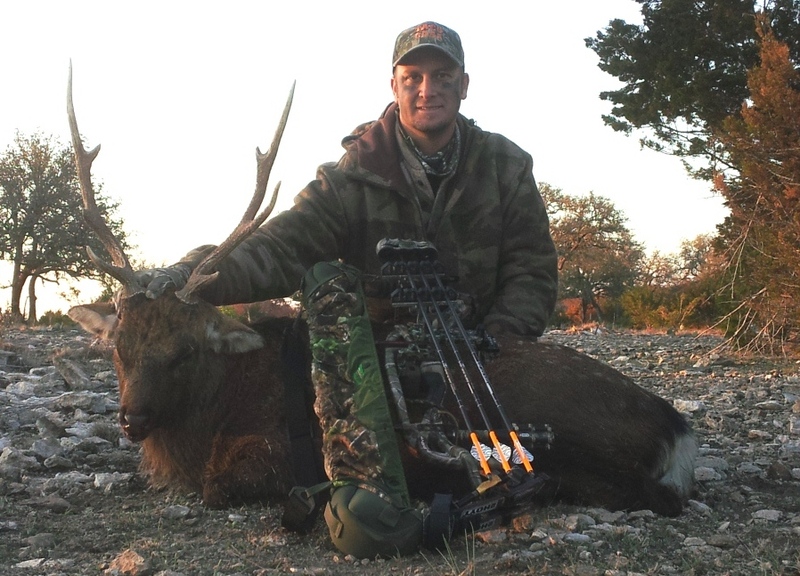 One factor that makes hunting Sika deer a popular sport is that these animals, both stags and hinds, are a great addition to any trophy wall. The stags can develop antlers that are outstanding, even up into the gold medal trophy level. It isn't uncommon for stags to have 8 tines, which is perfect for a full head mount or just an antler mount. The heavier mane that develops just for the fall rut also looks spectacular in the larger full head mounts. In addition the variety of colors from mahogany to black as well as the natural spotting even of the adult coat makes a terrific hide for any type of display. Sika deer are one of the most vocal of the non-native deer species. They are known to produce a wide variety of different sounds, some which are almost whistles and others that are often described as a bugle or scream. During the weeks leading up to and during the rut in September and October the vocalizations of both the stags and hinds increases, making quite the wake-up call as the sun is rising in the morning. This vocalization is truly amazing to hear and also a sure sign of great hunting. The Sika deer, which is actually more closely related to the North American Elk than the native deer species, is very territorial. In longitudinal tests it was found that stags travel within an average range of approximately 2.7 miles while hinds or females of the species have a smaller range of approximately 1.3 miles. This means that this particular species does very well in managed hunting areas since they will stay well within their natural range while still remaining on the property. This can lead to higher hunter success when hunting with a guide that pre-scouts the area to be hunted like they do on Escondido Ranch. Sika, like most deer, are naturally more active in the sunrise and dusk hours, making perfect hunting as the sun rises and sets. The other interesting behavior of Sika deer is that if they are relatively unbothered they are naturally more likely to remain in open spaces during the entire daylight period. This means that hunting can occur outside of the very traditional sunrise and sunset time period often most appropriate for whitetail and other deer species. This natural tendency means that hunters can always combine hunts and time their hunting to coincide with the behaviors of different species. Hunting Sika deer is considered a true art as well as a science. These deer are very intelligent and naturally wary of any changes in the environment. Hunting from established feeding areas and well developed and maintained blinds is really the only way to ensure you are even going to get a shot let alone see a Sika deer. 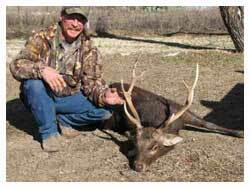 Working closely with an experienced guide is also a must even for a veteran hunter because these are not your typical deer that will wander up to a feeder without a consideration. Sika deer tend to favor the marshy areas around waterways as well as some pretty dense cover when they are not actively feeding. They often travel in small groups of hinds and young animals and then individual stags unless you are lucky enough to be hunting in the rut.